Playa del Carmen Real Estate is an increasingly popular investment choice among foreigners who seek a second home that they can also profit from. "Playa" is a vibrant, cosmopolitan Caribbean city with various upscale neighborhoods and gated communities, theme parks, art, nightlife, and a long, beautiful beach on the coast of the Caribbean Sea. 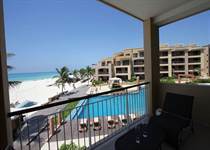 On this page you will find a selection of our favorite properties for sale in Playa del Carmen including condos, homes, and land. If you don't see your dream property here, contact us for more options. Homes for sale in Playa del Carmen come in all sizes, prices, and locations - and all levels of luxury. 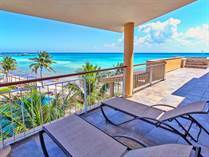 Playa del Carmen is our home, and Playa del Carmen homes for sale are our specialty. 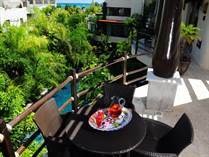 Condos for sale in Playa del Carmen are a favorite among smart investors due to the large variety available in style, location, size, amenities, and many other factors that make Playa del Carmen condos for sale an opportunity that you shouldn't miss.
" 2.5 Lots with 1 Home and 1 Large Pool"
"Most impressive condo on the beach"
"High-end + beautifully appointed condo"
"New price - Ocean view 3 bdrm condo"
"Live like a king and earn high ROI"
"In the mood to make a deal!"